How Long Will Your Porcelain Veneers in Williamsville, NY Last? Porcelain veneers are a widely sought cosmetic procedure because they produce drastic results using a minimally invasive treatment. The porcelain fronts are bonded to the front side of the teeth to enhance the appearance of the teeth overall. Often, they are used to hide chips, cracks, and discoloration; however, they can even be used to make the teeth appear straighter. The veneers give the teeth a shapelier and more proportionate appearance for a beautiful, confident smile. As a cosmetic dentist, we offer porcelain veneers in Williamsville, NY. 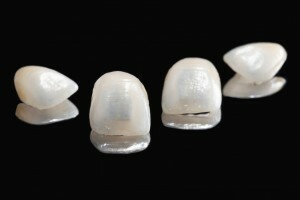 We understand that many are concerned about the durability of the veneers since they are made from porcelain. We have the information you need to protect the longevity of your veneers. Porcelain is the preferred choice for veneers because it is thinner than other materials used. As a result, less of the tooth’s structure is removed during the bonding process. In addition, it naturally mimics the appearance of your enamel, creating a natural-looking smile. While the veneers are thinner and made from porcelain, they remain durable and reliable with the right care. On average, you can expect your veneers to last for 5 to 10 years before needing to be replaced. However, that are many things that impact how long your veneers will last. One of the biggest factors that will influence the longevity of your veneers is how you care for them. You need to brush and floss your veneers daily using nonabrasive products. Using abrasive products can cause scratches to develop on the surface of the veneers. As a result, their appearance will dull and food particles can become trapped in these small line. With the right home care, proper cleaning products, and regular appointments with the dentist, you will ensure your veneers last as long as possible. Although porcelain veneers are durable, they are not indestructible. They are subject to cracks and breaks if you are not careful. You will need to avoid eating overly hard foods or chewing on ice. In addition, do not use the teeth as tools and consult your dentist in Williamsville, NY if you have a habit of grinding your teeth. Porcelain veneers are the ideal solution for those who do not want to undergo multiple or invasive procedures. You will completely transform the appearance of your smile in just a couple of short appointments. To begin the process, you will need to undergo a consultation to see if you are a candidate for veneers. If you are, we will create a customized treatment plan to begin the process. During the first appointment, we will prepare your teeth for bonding by etching the surface of the teeth. Then, we will take impressions, which are used to create your new veneers. We will attach temporary veneers while we wait for your custom veneers to be made. After they are ready, you will walk out of our office with a radiant new smile. If you are interested in porcelain veneers, contact Amherst Dental Group today! Comments Off on How Long Will Your Porcelain Veneers in Williamsville, NY Last?